Who doesn’t like grapes? 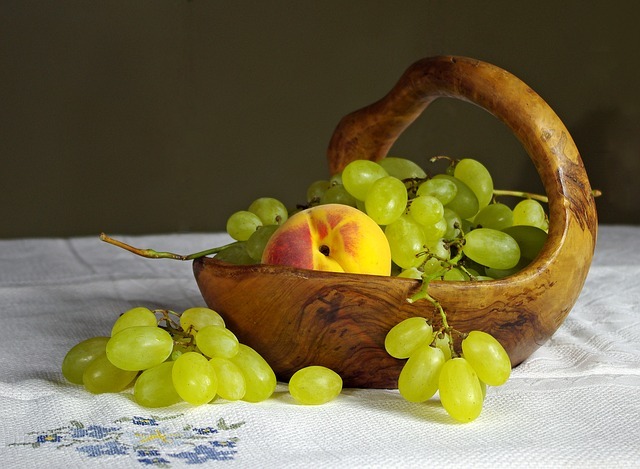 In most markets we are lucky to have fresh, juicy grapes available year round. So, in the dark days of winter, an attractive bowl of grapes set out on a counter can be a nourishing and welcome site. For easy snacking, I like to rinse, drain, and cut up large bunches and place smaller portions in a covered container. Stored in the fridge, the grapes are reach-in ready and will hold for a week or longer. We tend to overlook grapes as a handy option in baked desserts. Here’s a happy idea that makes perfect sense: a lemon-scented cake laced with polenta and grapes. What’s not to like? Polenta provides flavor and structure and the grapes add entertaining pockets of sweet juiciness. 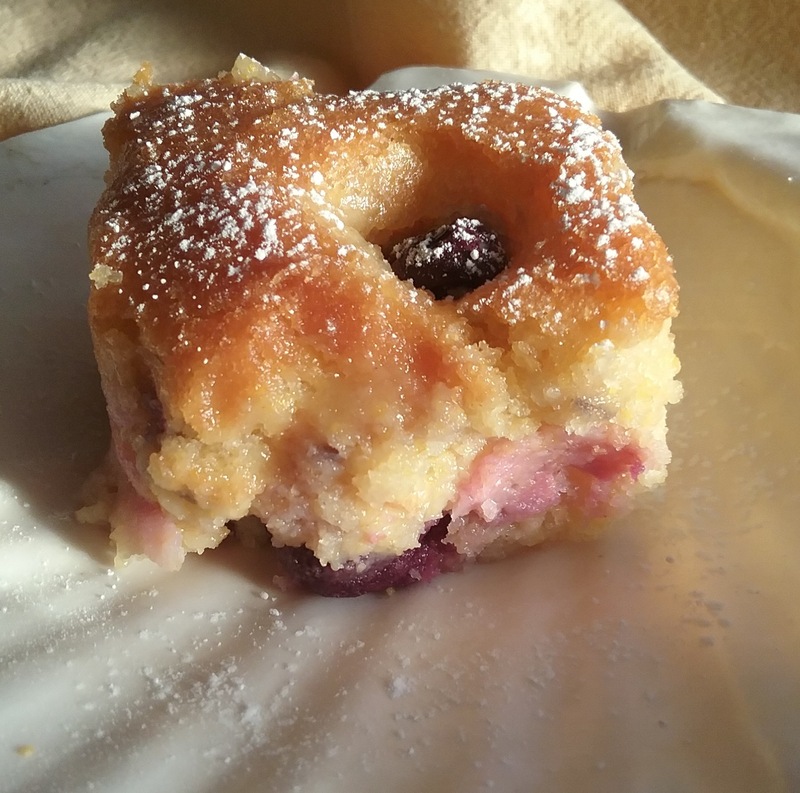 But what to do about those errant grapes that stubbornly sink to the bottom of the cake? Trust Martha Stewart to come up with a clever solution for the irritating dilemma of sinking grapes. She begins by scattering only half of the grapes on top of the batter before placing it in oven. 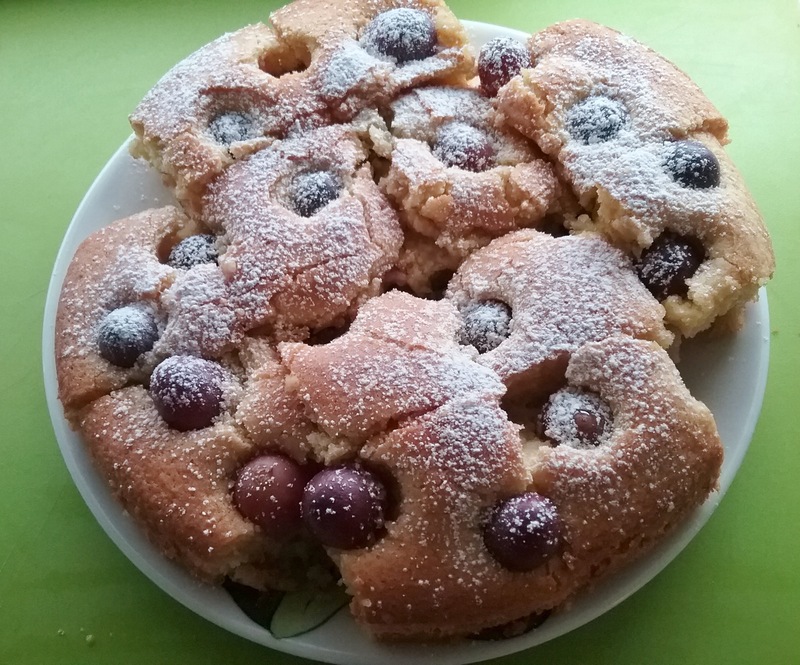 When the cake is partially set, the remaining grapes are strewn about the top and baked until golden brown. Remember to use seedless grapes—red is pretty, but any color that strikes your fancy will work. Serve the cake warm with a light dusting of confections’ sugar and perhaps a dollop of whipped cream. Should you have left-overs, the cake will hold well for two or three days at room temperature. After that, store what’s left in the fridge. Combine the dry ingredients in a small bowl and set aside. In a larger mixing bowl, beat the eggs until light. Gradually add the sugar and lemon zest, beating until fluffy. Slowly beat in the oil. In 3 additions mix in the flour alternately with the milk and 2 portions of the dry ingredients, ending with dry mixture. Spoon the batter into the baking dish. Scatter ½ of the grapes over the top and bake for 15 minutes. Remove and top the cake with the remaining grapes, bake 25 minutes longer. Cool in pan on rack for 15 minutes then turn out and cut into portions. Dust with confectioners’ sugar and serve. If desired accompany with ice cream or sweetened whipped cream. Serves 6-8.